These days I'm a hands free type of gal. I have a toddler that requires BOTH hands at all times as I'm sure you can imagine. 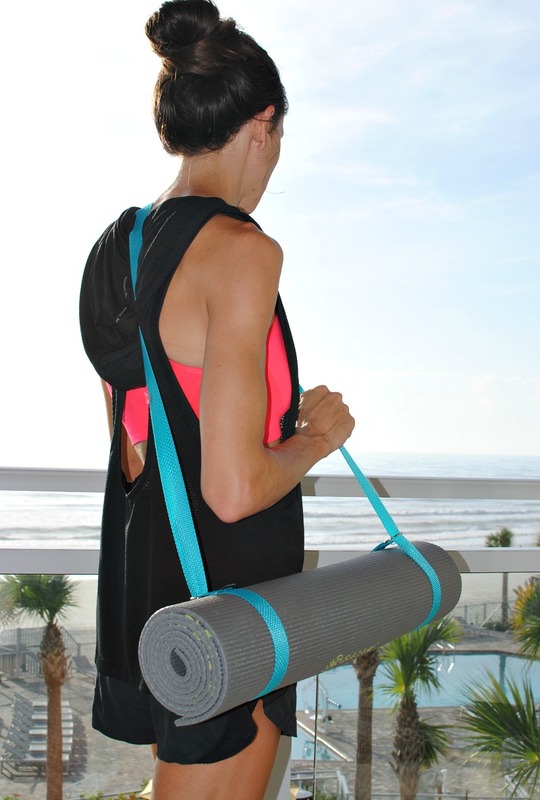 With everything I'm constantly juggling I wanted to create a quick yoga mat carrier to take on my workouts with me. I would usually leave my mat because I didn't want to carry it, but now there is no excuse to get a post run stretch in. 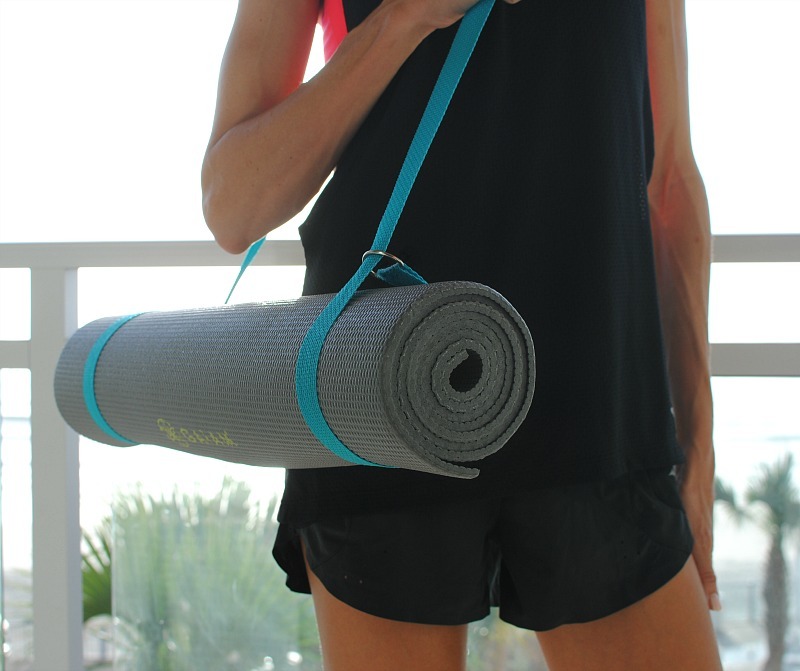 This yoga carrier takes 5 minutes thanks to the 2 Dritz supplies you need. Get the details below and make your own! 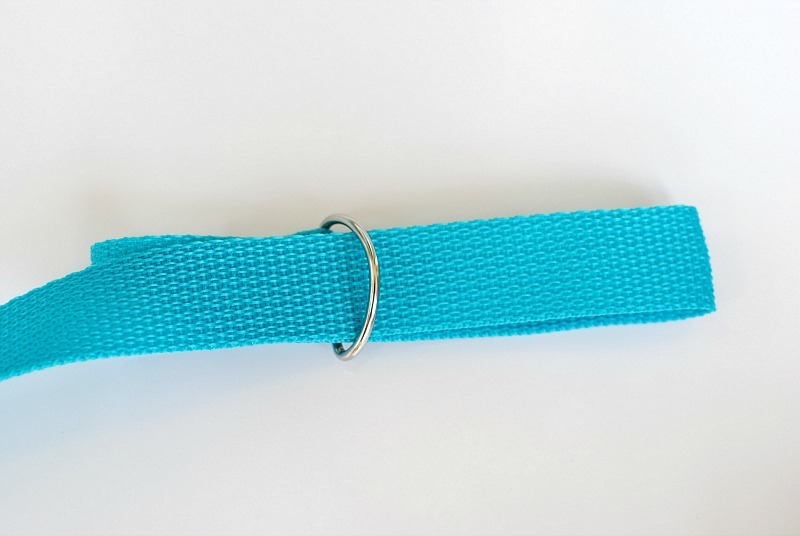 Begin with a strip of Polypro belting. Dritz has many different colors to choose from. 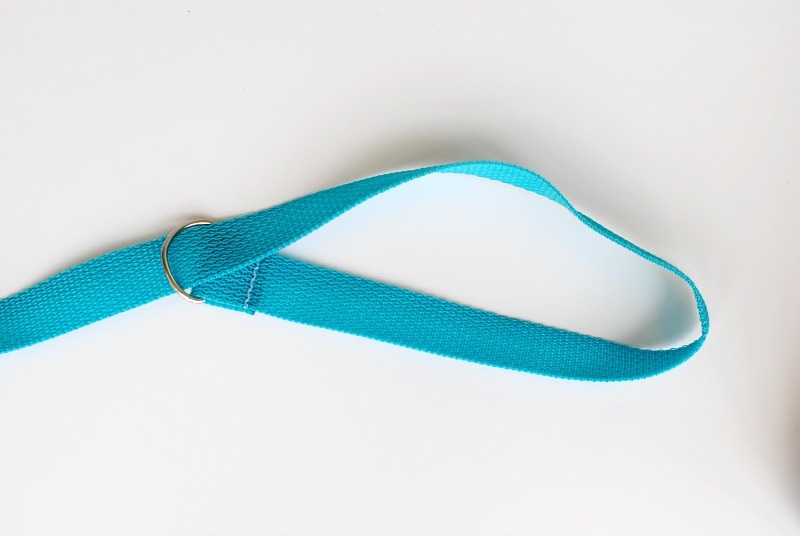 I went with a teal...I started with 3 yards and trimmed down from there. You will need to burn the edges with lighter or use your trusty fray check. Fold the polypro over one D-Ring about 1" and pin. 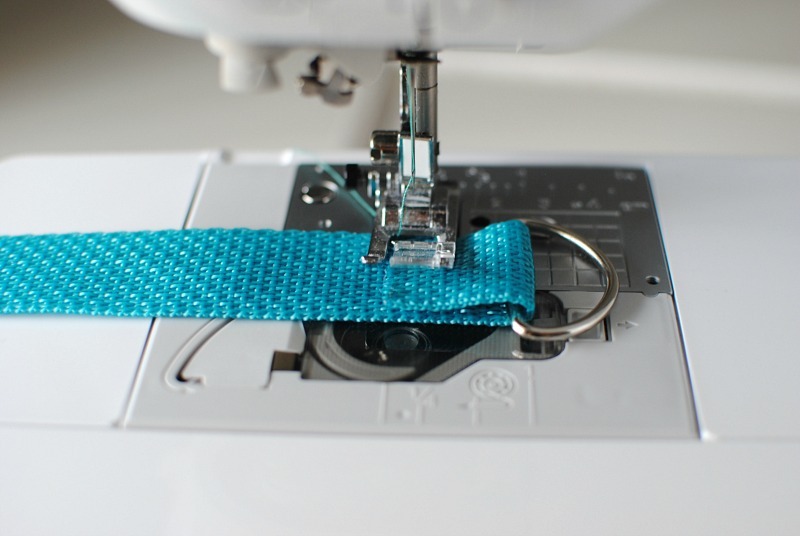 Sew along the raw edge using a zig zag stitch. Go over it a couple times to keep it secure. 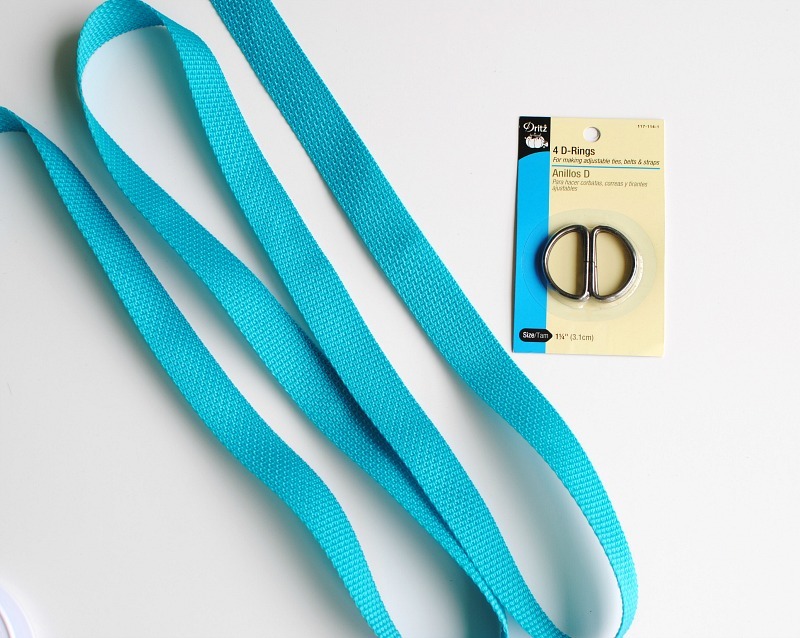 Fold the Polypro and pull through the D-Ring to create a loop on the other side of the D-Ring. It should form a loop like this. 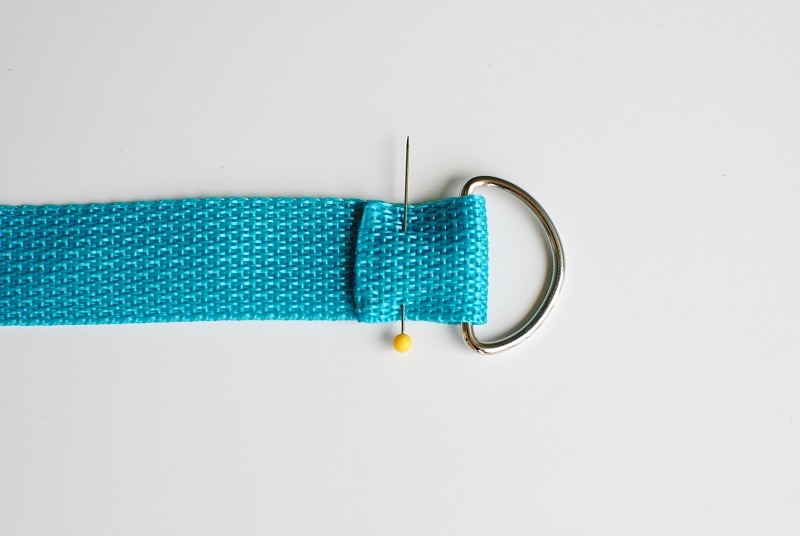 Wrap it around your yoga mat. Then wrap the polypro around and pin the other side into place. 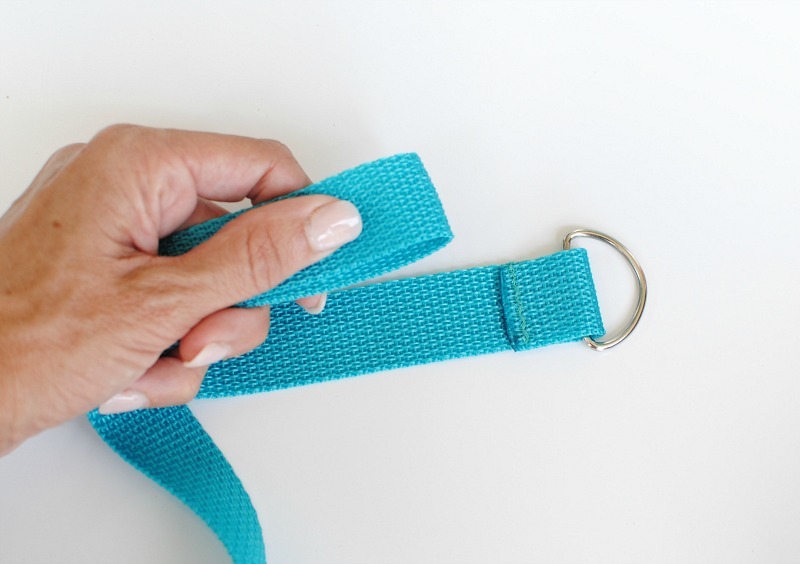 Try the carrier on and get the proper length you'd like the carrier to be. You will most likely have to trim this side down a bit. Then repeat the steps above for the alternate side. That's it! Now you got a nice yoga carrier and no excuse not to just grab and go! Nice article. 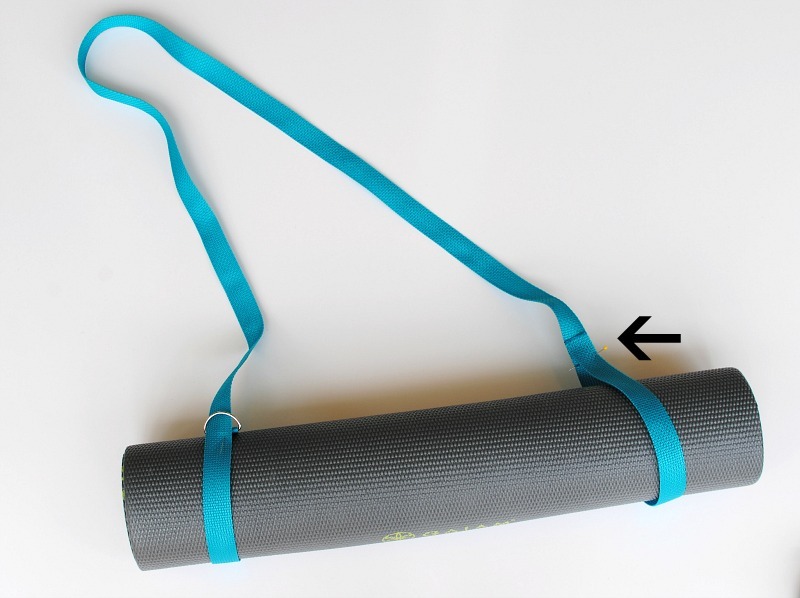 Really this is very good article with a reviews of diy yoga mat carrier. I am very liked this Item. 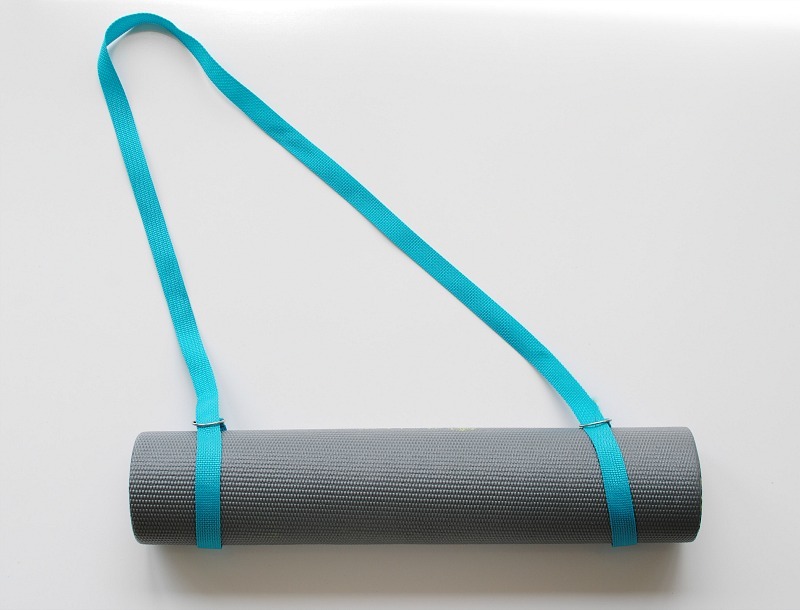 Diy Yoga mat career is most useful thing to us So I appreciate the author for sharing this awesome review of Yoga mat carrier. Anyway I am working as a academic writer at a biggest writing agency EssayViking.com. So If you want to check our vikings essay from this site then you should contact me. I have a good knowledge in academic writing section. My passion is writing and helping students. I am proud of my work.Thank you!